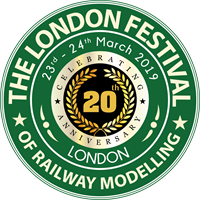 The South East's largest and most popular model railway exhibition, with 40 layouts selected by The Model Railway Club. The highlight of the model railway exhbition circuit in the south of England, this is the annual show at Alexandra Palace. Apart from the layouts, there are in excess of 120 exhibitors to browse and purchase from. The vast selection of trade stands covers those ‘must-have’ items to ‘specialist’ items in rarer scales and gauges. Stop by our club stand for a selection of speakers and interviews all day. We have a special offer for joining the club at the show! There will be a selection of other gauge and special interest societies for you to find out more about.